The 47 ltr tank is supplied with the easy2grow Kit. This tank is suitable to water & feed 1-4 1Pot systems, 1-4 2Pot Extension trays or 1-8 aquaPots. Always raise your tank to a minimum of 150mm above the highest AQUAvalve or aquaPot, the higher the better. Please note that as the plants connected to your tank grow larger they will consume more water; therefore please ensure that you purchase a tank large enough to last if you are absent or away on holiday. In trials the easy2grow kit easily supplied water to two plants for a minimum of two weeks in the height of summer, growing tomatoes. Adding more trays & pots will reduce the watering period. 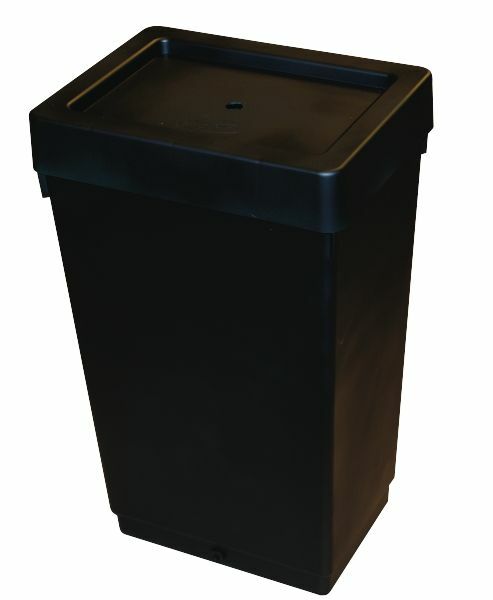 Please note that this product is supplied with 1x 47 ltr tank, lid and 4mm top hat grommet. A 4mm filter will need to be purchased separately.